The district's school board voted unanimously to allow the health center to prescribe contraceptives to students. 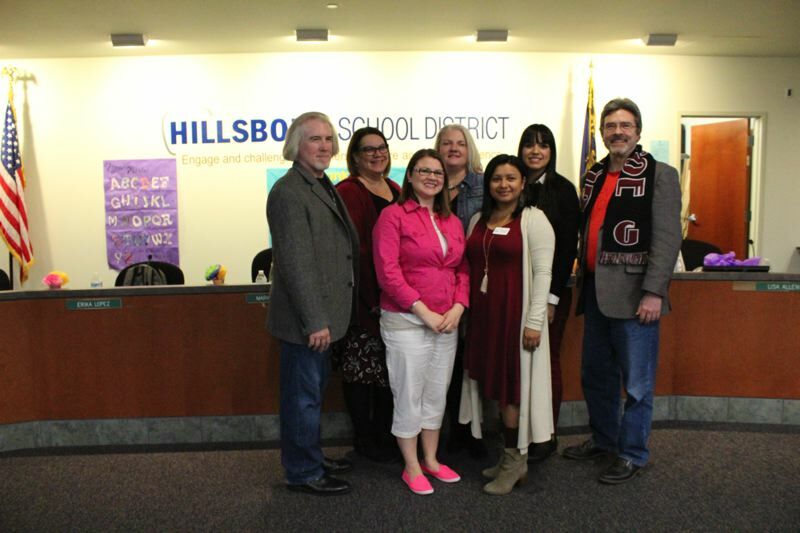 The Hillsboro School Board approved a plan last week that will allow the district's school-based health center to prescribe contraceptives to students, reversing a decision the board made two years ago. The board voted in favor of the plan Tuesday, Feb. 27. Since it opened nearly a decade ago, Virginia Garcia Memorial Health Center has been barred from prescribing contraceptives to patients at the health center it operates on the campus of Century High School. Under the new rules, nurse practitioners at the clinic would be allowed to prescribe birth control to any student should they request it. "Probably no one's surprised, but I am very happy to support this," Hillsboro School Board President Lisa Allen said before last week's vote. A controversial topic, the school board has fluctuated on its stance toward contraceptives at the health center over the past few years. A previous school board shot down a similar plan in 2016. At the time, board members had been discussing plans to allow the services, but a majority of board members voted against it after Virginia Garcia officials said the clinic could not notifying parents if their children request contraceptives from the center, citing state and federal privacy laws. Under Oregon law, children as young as 15 can seek medical care without parental permission and students of any age are able to seek contraceptive services without parental approval. After last year's school board elections saw the majority of the board turn over with new faces, revisiting the issue was seen by many as inevitable. Lacey Beaty, the program director of Virginia Garcia's school-based health centers, considered last week's vote a "resounding confirmation" of the new school board. "It's fantastic," she told the Tribune this week. Beaty, who also serves on the Beaverton City Council, said the Century High School clinic is now working through the policy and hopes to have everything put into place within the next few weeks. Beaty isn't expecting major changes to how the facility operates, though she thinks the number of students using the facility could increase. "We are able to do complete health care now," Beaty said. "It makes sense and is just going to make our services better." Proponents of the plan have said allowing students access to contraceptives will decrease teen pregnancy rates, and help students focus on school. According to the Oregon Health Authority, Washington County made up more than 20 percent of all teen pregnancies in Oregon between 2014 and 2016, the most recent data available. Several in attendance at Tuesday's meeting were passionate in their support for the changes. "We do know that many kids within our school district are sexually active, why not provide them with the facility to help themselves prevent a pregnancy?" audience member Katie Riley asked the board last week. Others in the audience agreed. "What Katie said times two," said supporter Bobby Wolfe. "These kids that are in high school now are our future." No audience members spoke out in opposition during last week's meeting, but crowds of opponents have filled board meetings over the past two years to discuss the issue. Opponents have argued the board was turning its back on parents, who want to be involved in their children's lives. "The School-Based Health Center basically takes parents out of the picture when it comes to the healthcare of their own children," parent April Davis told board members in January. "I don't think that's what the school district or school board wants for our children." Others argued that the board has already ruled on the issue, and should focus its matters in other areas. "Here we are again," opponent Nancy Hersh told a crowd of parents at a school board meeting in January. "This room was packed with parents opposed to this (two years ago). It is really sad that we have to do this again." The board's vote was unanimous, but its newest member, Yadira Martinez, opted out of the vote citing a potential conflict of interest. Martinez, who was appointed to the board last week, works at Virginia Garcia Memorial Health Center. Martinez replaced Wayne Clift who resigned in December. Hillsboro won't be the first school-based clinic to tackle the issue of contraceptives. Virginia Garcia Memorial Health Center runs six school-based clinics across Washington and Yamhill counties. Two of its clinics, located at Beaverton and Willamina high schools, already provide contraceptive services. In a separate vote last week, the Tigard-Tualatin School District also approved plans for its two health centers at Tigard and Tualatin high schools to also begin providing contraceptive services for students. Geoff Pursinger contributed to this report.